When it comes to electricity, we all want to get the best deal possible. But the biggest savings are usually only made possible by big discounts. However, not all energy discounts are as good as they sound, so be sure to review this guide before signing up. If you’ve recently compared energy plans, then you’ve probably seen retailers promising a discount on your bill – some by as much as 45%! Provided that your retailer has competitive base rates, electricity discounts can be a great way to reduce your bill – potentially saving you hundreds of dollars each year. So where are these great discounts, and are they really as good as they sound? What can you get discounts for? Put simply, you’ll be offered a discount for things that make life easier for your energy provider, such as sending bills via email instead of post. It’s also common to see discounts available if you meet a combination of these conditions. Read on for more discount details, or jump straight into our energy plan comparison tool. Which discount will save me more? There are two main types of discounts – usage charge discounts, and whole-bill discounts. Your power bill is comprised of usage charges and supply charges. Usage charges refer to the component of your bill that reflects the amount of power you’ve actually used. For medium to large households, usage charges will typically comprise the largest part of your electricity bills. Supply or service charges are incurred simply for being connected to the grid. These are fixed rates, usually between $1 and $2, which apply regardless of how much electricity you used, if any. It’s more common for discounts to apply to usage charges only, though some electricity deals apply the discount to the entire bill (both usage and supply charges). But just because a discount applies to your entire bill, rather than just part of it, does not necessarily mean you’re getting an amazing deal. A 20% discount off usage charges, for example, could mean lower overall costs than a 5% discount on your entire bill. So what kind of discounts will you find? 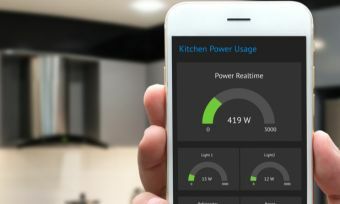 Canstar Blue research shows that discounts of 30% or more off usage charges are common in Victoria where competition between electricity providers is fierce. Depending on the provider, this could save an average five person household in the state around $150 per quarter, or $600 a year. Households in New South Wales and South Australia can expect to find discounts in the region of 20%, but discounts in Queensland are generally a bit more modest at less than 20%. What are discount benefit periods? A benefit period refers to how long a discount will apply after a customer signs up. Discounts are used to attract new customers, so they only last a year or two after a new customer has come on board. Usually benefit periods are for 12 months, though it’s not uncommon to see deals with 2 or 3 year benefit periods. Pay attention to when your discount expires, otherwise you risk paying more for electricity than you need to. Your electricity retailer should contact you toward the end of your benefit term, but you should also consider taking the initiative to shop around or contact your current provider yourself to see if they can renew your discount or even offer you a better deal. With this in mind, there might be better value in finding a plan with a smaller discount, but that runs for two years or more. 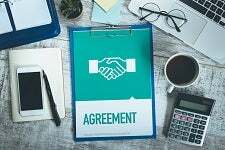 Once you start comparing electricity plans, you are likely to find providers offering longer term deals, or even find one that has a lifetime discount. And of course, there is nothing stopping you trying to negotiate a longer term with your provider. However, to get the best deals and to make sure you’re always paying the lowest possible rates in your area, you will likely need to shop around every 12 months or so. Which electricity providers offer the biggest discounts? Discounts vary from state to state. Generally speaking, Victorians receive the largest discounts, usually between 30% and 45%. NSW customers also receive seemingly generous discounts of about 20 to 30 per cent. Queenslanders and South Australians are usually left with the smaller discounts between 10% and 25%. Below is list of retailers currently offering big discounts across each state. Remember though, big discounts do not always mean big savings. Use our energy comparison tool above to find out how thee really stack up on price in your area. To see whether their big discounts pay off, check out our QLD price comparison table. You can see how these retailers and their big discounts stack up in our NSW price comparison table. Don’t forget that big discounts don’t always mean the best prices. 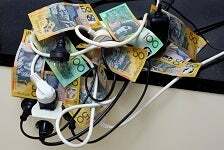 See which electricity retailer is the cheapest in our VIC price comparison. It’s easy to get carried away by big discounts, but be sure to check our SA price comparison table to see whether these retailers are all they’re cracked up to be. Energy discounts can save you hundreds of dollars a year, but only if you stick to the conditions – failure to do so can leave you paying a lot more. Not only do you lose the discount benefit, you could also incur late payment fees (usually around $20). Some electricity deals with large discounts may also have increased usage and supply rates. This means you might not be receiving as good a deal as you think – especially if you don’t meet the conditions to receive the discount. If you’re the type of person who tends to fall behind on your bills from time to time, it might be better to avoid electricity plans with pay on time discounts and focus more on deals with low rates or guaranteed discounts. Don’t just assume that energy plans promising big discounts will work out to be the cheapest. When comparing electricity deals, always review their energy price fact sheets to make sure you have a good understanding of the base rates being charged. While discounts can certainly help, it defeats the purpose if you’re simply getting a big discount off a very large bill.